Gurugram, March 25: The Gurugram Police on Monday arrested one more person in connection with attack on a Muslim family by a mob in Gurugram's Bhondsi on March 21. According to reports, the family, in their police complaint, alleged that the accused told them to “go to Pakistan” and threatened them to vacate their house. According to a tweet by ANI, three people have been arrested in the case so far since the incident took place. Gurugram Shocker: Mob Thrashes Muslim Family With Iron Rods and Sticks for Playing Cricket on Holi, Tells Them to ‘Go to Pakistan’. 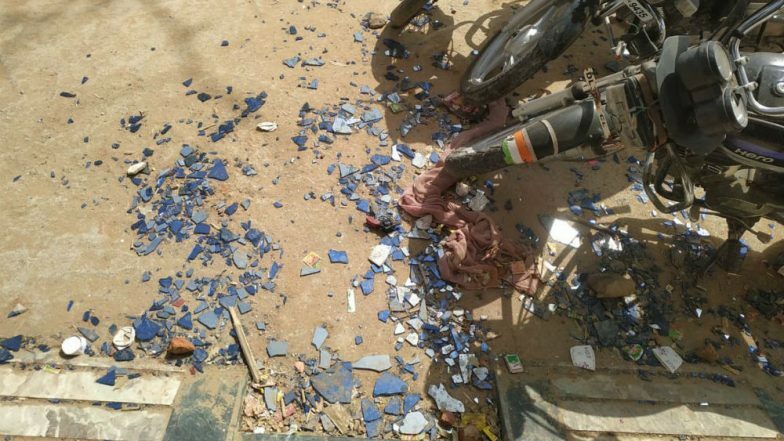 A mob of over a dozen men with weapons, sticks and iron rods attacked the family in Dhamaspur village on March 21. The family claimed that the accused hurled religious slurs at them and told them to go to Pakistan. According to reports, a case has been registered on charges of attempt to murder, house trespass, causing injuries and criminal intimidation, among others. Cyber Crime: This Year Gurugram Registers 9 Cases Every Day; Says Police Official. According to reports, Gurugram police spokesperson Subhash Boken informed that a tiff broke out between two groups over a cricket match. Reports quote 28-year-old Mohammad Dilshad saying that he was playing cricket with his cousins near the house when two motorcycle-borne men stopped by and got into an argument by using communal slurs against them. When Dishad's uncle tried to intervene, the mob allegedly slapped him. As soon as the incident was reported, Police began a probe into the incident. Deputy Commissioner of Police (South Gurugram) Himanshu Garg was quoted in reports saying that the Police is identifying the other accused with the help of a video of the attack, and the names disclosed by the arrested accused.